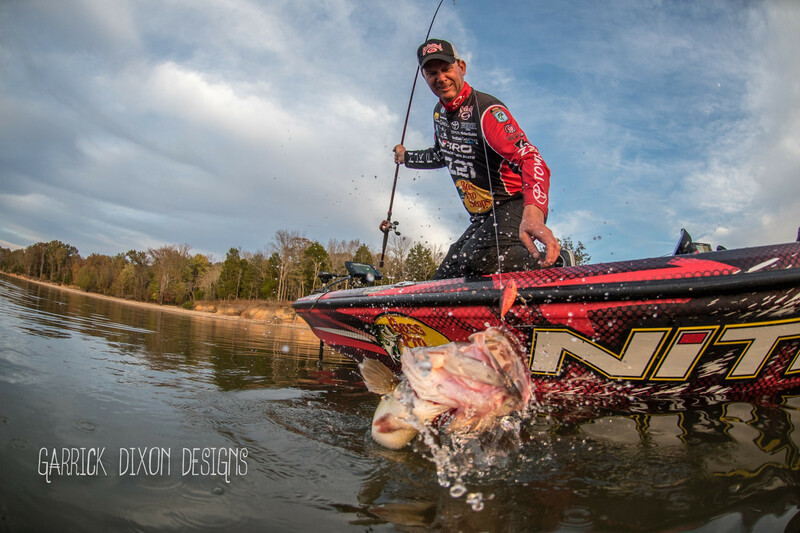 How does Kevin VanDam change his hooks? And why on earth does he bother? When Bassmaster Elite Series pro Kevin VanDam changes hooks on his crankbaits, jerkbaits and topwaters, he employs a nifty trick that saves time and promotes efficiency. He’ll start by opening one end of a split ring and sliding the bait’s existing hook between the coils where it keeps the ring propped open. Holding the replacement hook with pliers, VanDam will slide it onto the split ring’s open end, thereby pushing on the new hook while sliding off the old one. Ok, so that’s the “how;” so now, let’s look at the “why,” as in why change your hooks. For clarity, modern hard baits don’t inherently come with inferior hooks, but occasions often arise in which you simply need a different performance dynamic. That could be a matter of form or function, so let’s look at when you might consider adjusting your bait’s hook size. Sink Rate: Effective jerkbait presentations depend largely on hitting the right depth. That being said, adjusting up or down on hook sizes can hasten or slow the bait’s sink rate; while the right tweaks can turn a floater or sinker into a suspending bait. This one’s heavy on the experimentation, so rig three of the same bait with different hook sizes, note the performance and adjust accordingly. Grab & Hold: Round bend trebles often serve as problem solvers, with a couple of particular examples. First, when fish are slapping at a bait or short striking, a round bend’s notable sticking nature tends to grab more of the ones that just sniff at the bait. Also, that penetrating power serves you well when cold water finds a bass’ mouth kinda stiff. Conversely, when fish are more active in warmer weather, an extra wide gap (EWG) hook can help you keep them buttoned up long enough to get a net under them. Think: leaping smallmouth. For the ultimate balance of hooking and holding, Mustad’s KVD Elite Triple Grip Hooks are made to stick quick and lock the fish in the hook’s elbow bend. Action: In the wintertime, baitfish are used to seeing minimal action from baitfish, so upsizing hooks can add a deadening or tightening affect when the bait you like has a little too much action. Color: Red is almost always a target point for fish that might mistake it for a gill flash, or perceive it as a baitfish injury. In any case, a red treble on the center or belly position can help dial in the fish aim for better hook-ups. Dress Up: Feathered trebles definitely add visual appeal, especially in dimmer conditions and/or off-colored water. Not only does the pop of color stand out; the “breathing” motion of the feathers’ expansion and contraction presents a lifelike ruse that can turn lookers into biters. For convenience, Mustad’s Replacement Hook Kits, keep the essential elements neatly organized in a foam-lined waterproof plastic box. Measuring 5.9 by 3.6 by 1.75 inches when closed, the kits include Mustad UltraPoint Hooks, Split Rings, Fastach Replacement Clips (matched to size) and a pair of Mustad Stainless Steel Braid Cutter/Split Ring Pliers.